So You Think You Know Smartphones? 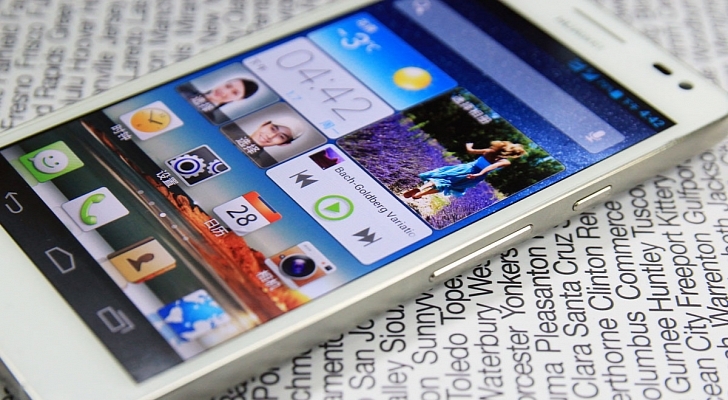 Take a minute to guess the top five smartphone vendors in the world for Q4 2012. You probably guessed Samsung and Apple, and then maybe HTC, LG, Sony, RIM, Microsoft, or Nokia. You are partially right. 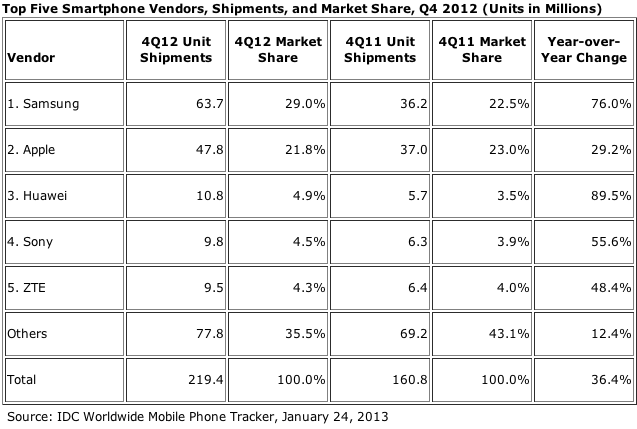 Obviously, Samsung and Apple continue to dominate the smartphone market with a combined market share of 50.8 percent. The two vendors I was interested in, however, were Huawei and ZTE. For those who don’t know, Huawei and ZTE are both multinational Chinese telecommunications companies. They both accomplished such great numbers with a combination of lower-cost and higher-end smartphones for the mass market. Huawei saw and 89.5 percent growth in the past year, while ZTE saw 48.4 percent growth. You may be surprised to learn that both Huawei and ZTE have Android phones, Huawei has Windows Phones, and ZTE is expected to have Windows Phones soon. The two companies are still currently little competition for Samsung and Apple. However, they have long-term potential to become leaders in the Chinese market, where nearly one billion people have yet to get a smartphone. With a choice of lower-cost and higher-end smartphones, I personally think it’s only a matter of time! Follow us on Twitter and Like us on Facebook to keep up-to-date on other mobile trends.